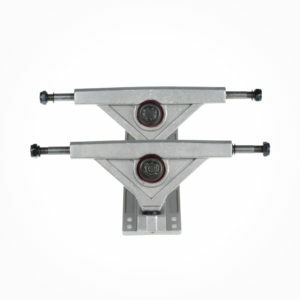 For Starters picking up a Longboard Upgrade Kit from the FunBox Skateboards Online Skateshop will do the trick. Not sure you need all the parts. Well then click on the hardware page for all your needs. Many Skateboard bearings are able to be cleaned and re greased or they must be replaced. 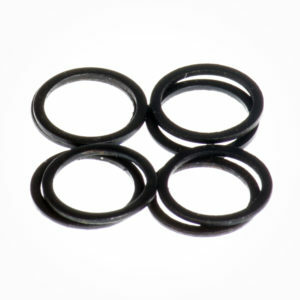 Check the speed rings and bearing spacers also to make sure they are clean and free of debris. Also check and replace all that old squeaky hardware. The more you turn the nuts on your mounting bolts, kingpins and Axles the more the nylock breaks down. Always make sure to check nuts and bolts before you ride every time and make sure they are all tight for safety. If you’re having issues or not sure then replace them as its better safe than sorry. New Fresh wheels will also help keep you rolling smooth and fast. Skateboard wheels wear out and get smaller as time goes on. Normally the bigger the wheels the faster and smoother your ride will be. 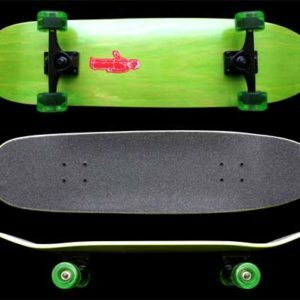 There are many styles of longboard wheel and having some knowledge about the wheels and what they are used for is always important. 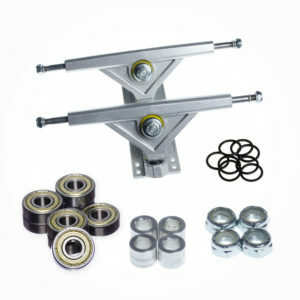 Making sure all your skateboard and longboard parts are in good working order is very important. We often post tips and suggestions on out Facebook page or you can hit up Reddit Longboarding forums for good advice too. As the 2017 year comes to an end we have time to reflect on all the new people that got into skateboarding and it is wonderful. I love seeing the photos and emails come in regarding how much fun everyone is having. FunBox Skateboards would love to take this time to thank all our supporters for a wonderful year.